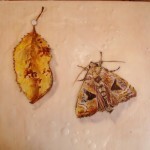 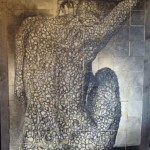 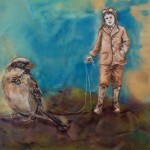 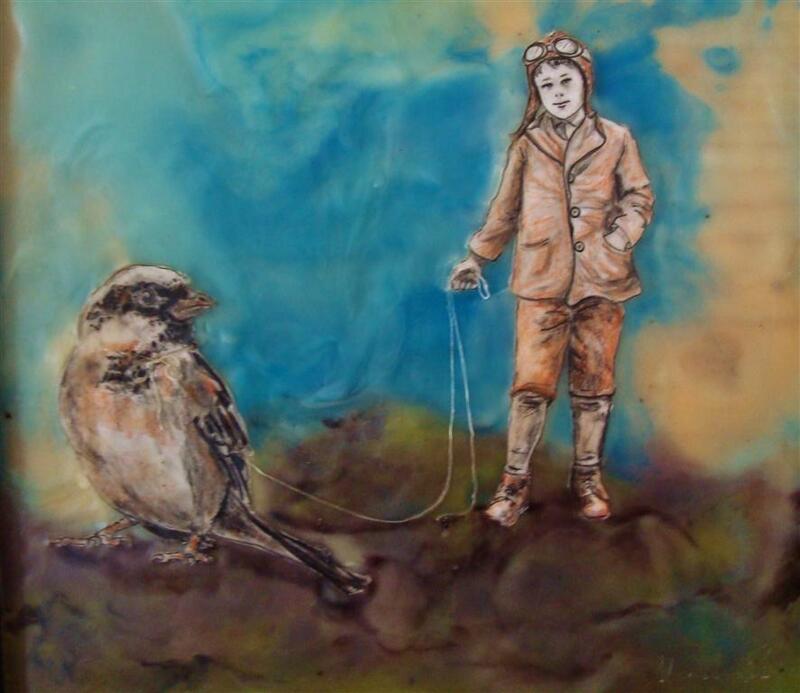 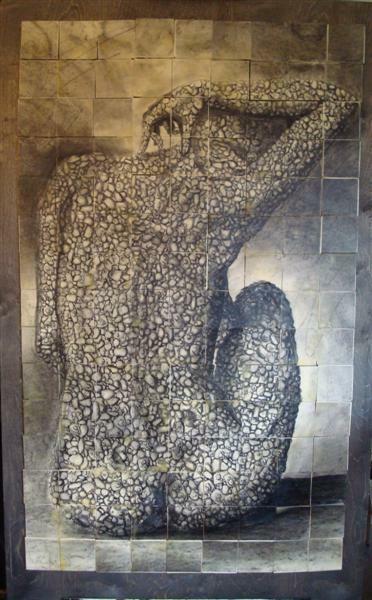 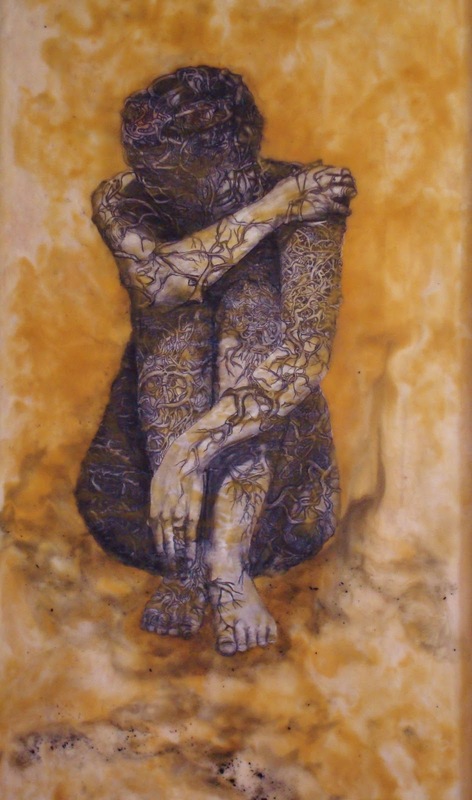 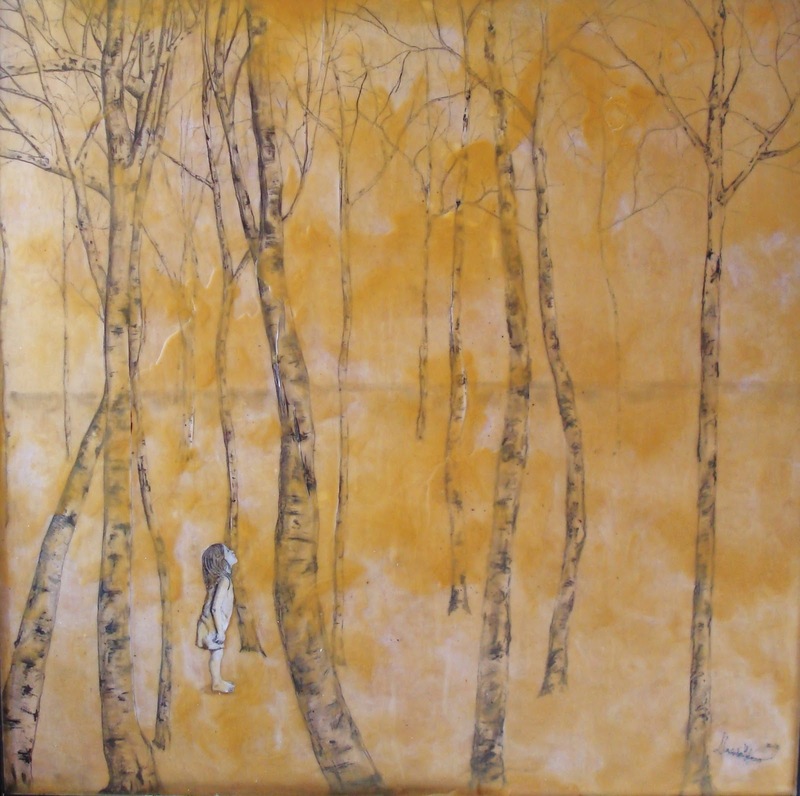 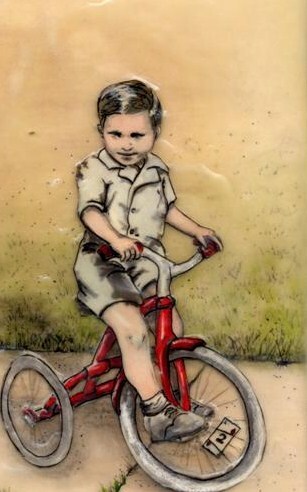 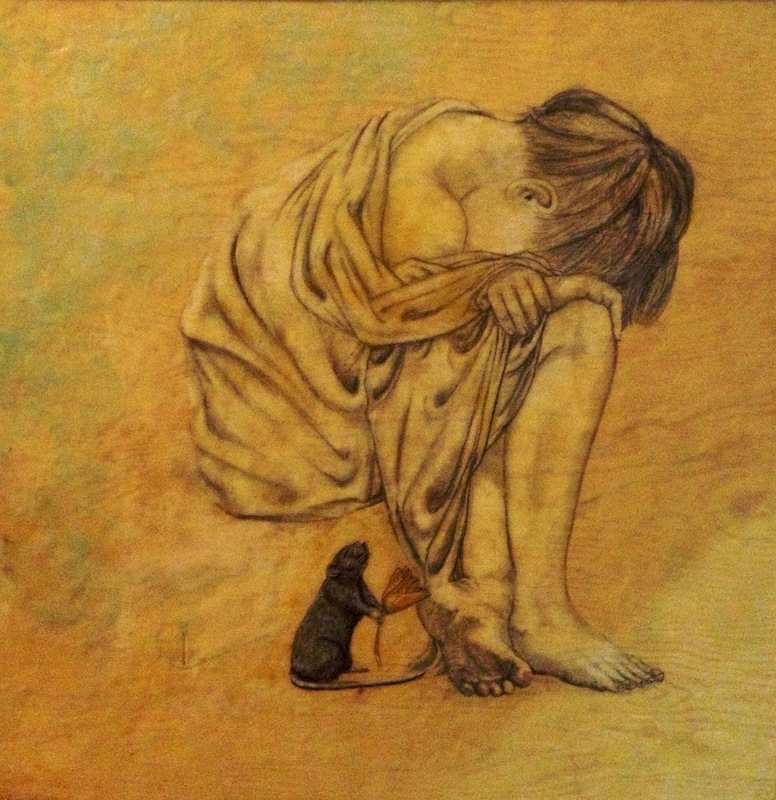 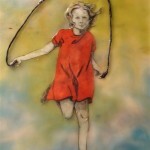 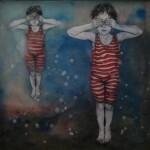 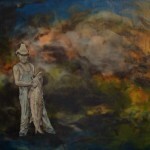 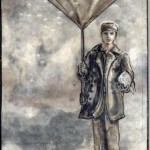 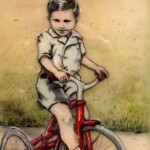 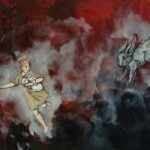 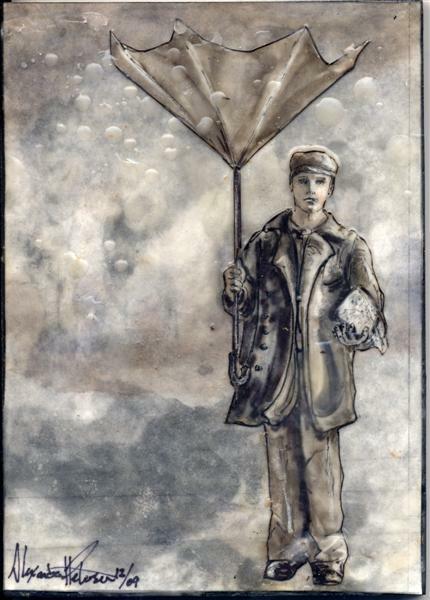 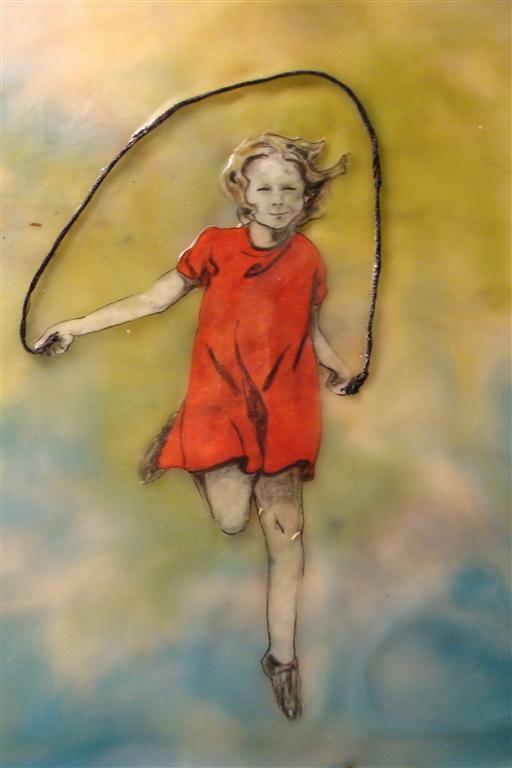 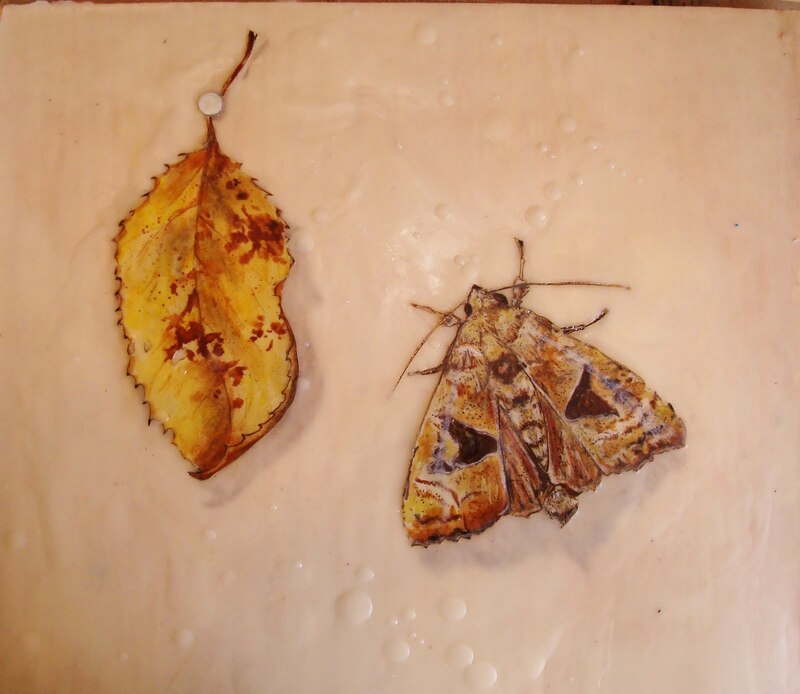 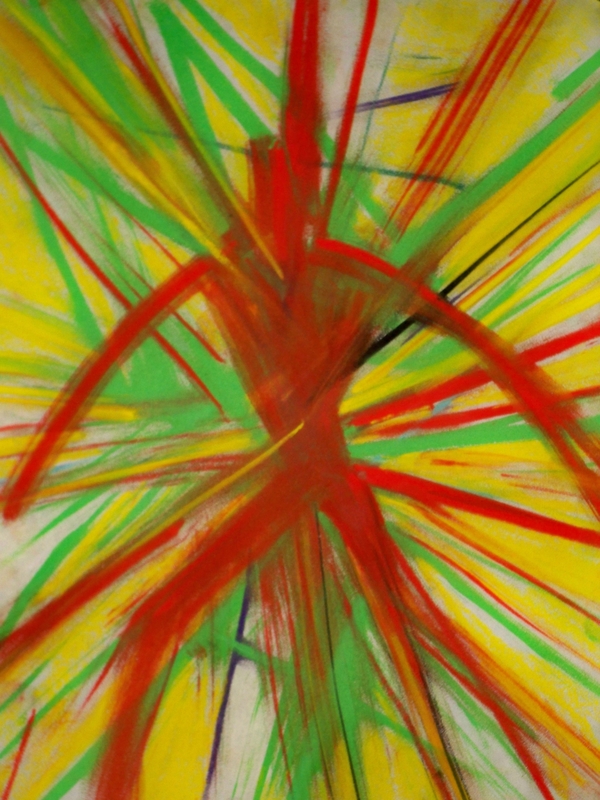 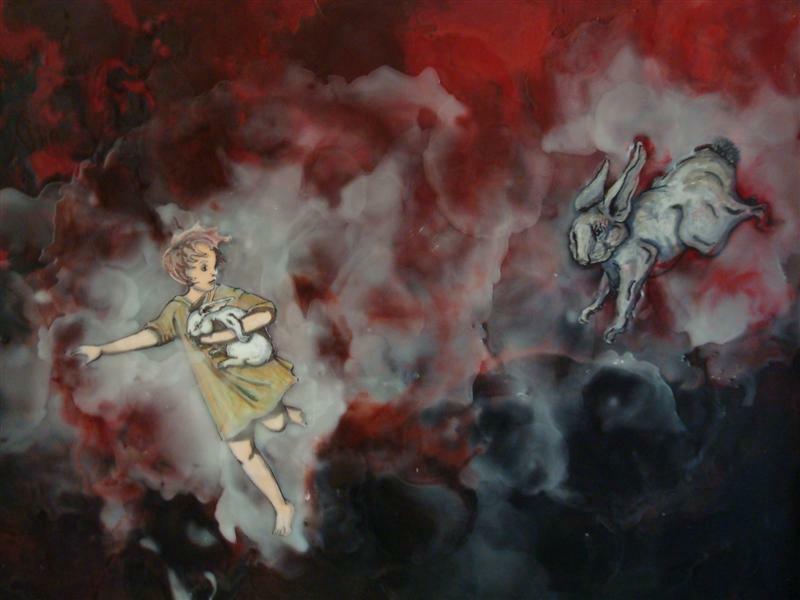 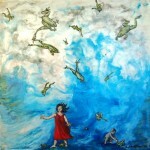 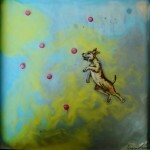 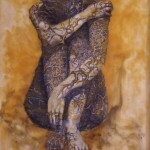 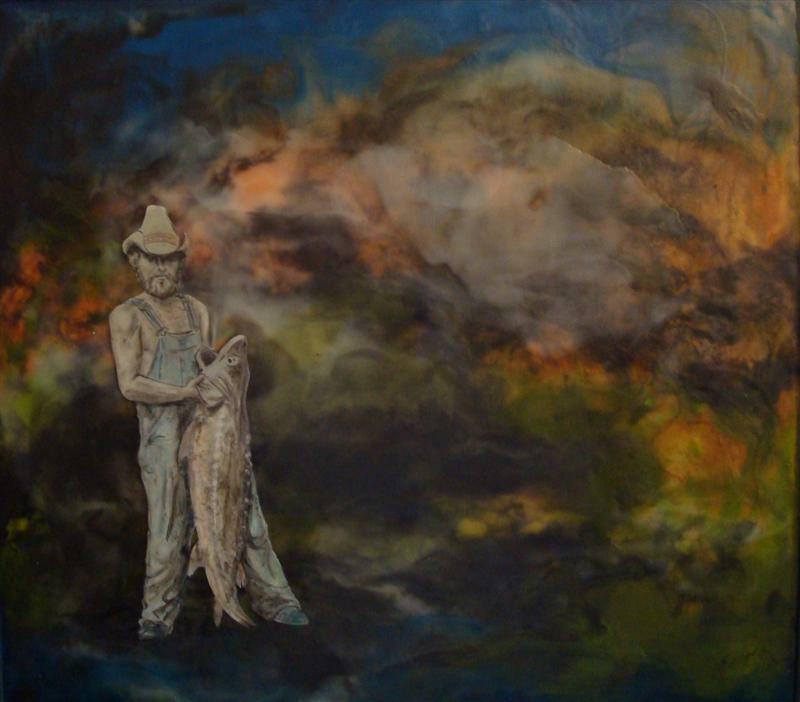 Alex works with encaustic over pen and ink drawings when not hiding from the dark or wildly chasing after rainbows. 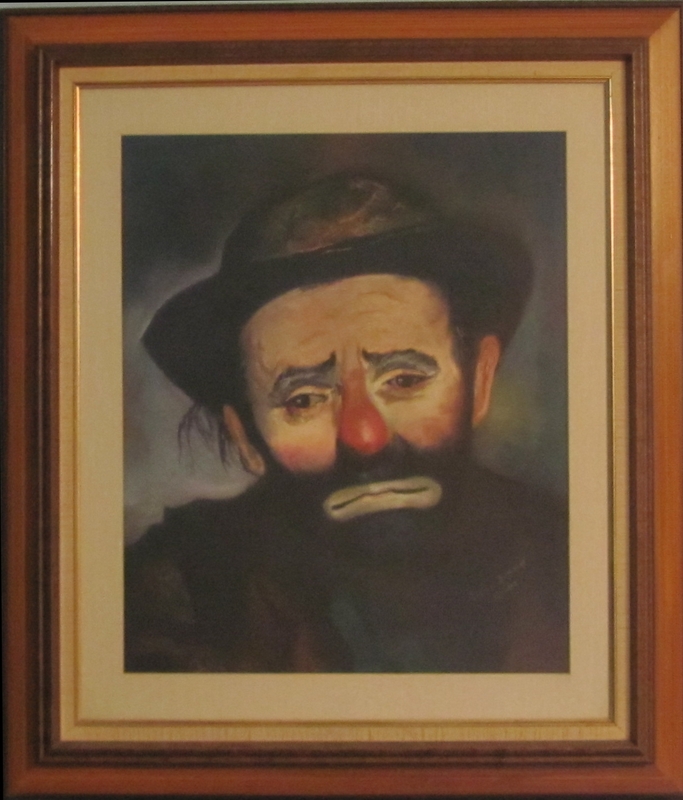 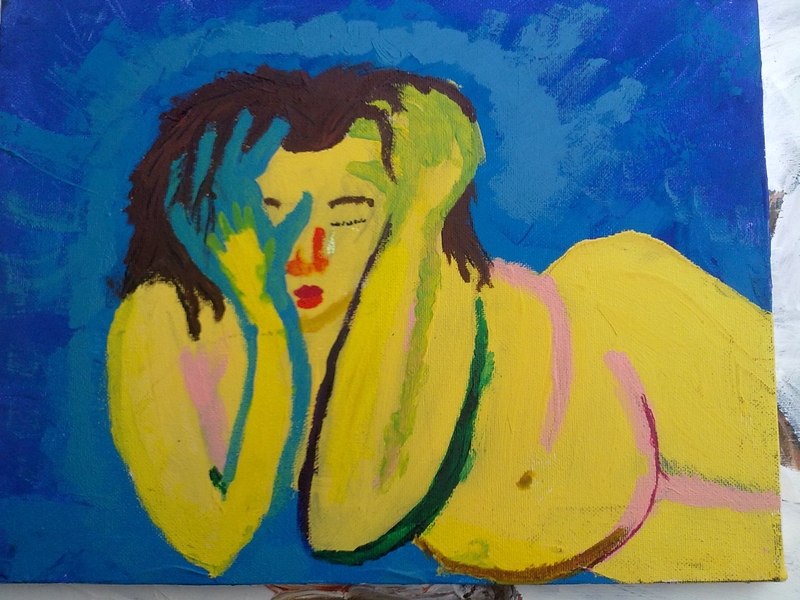 Finally receiving a proper diagnoses of bipolar II after years of dealing with a brain full of chiaroscuro, she is just now trying to get used to a new normal. 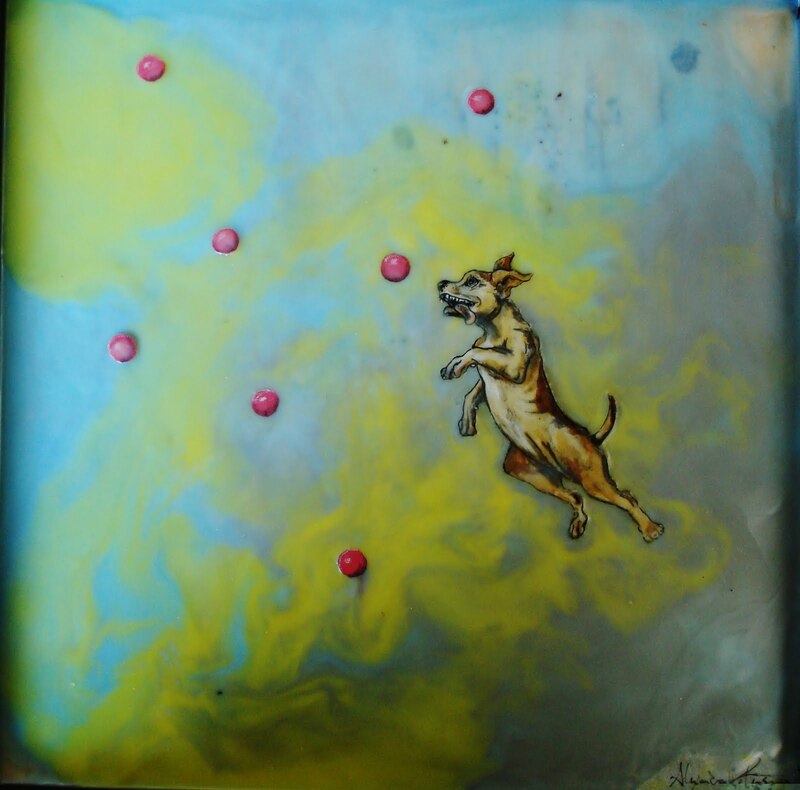 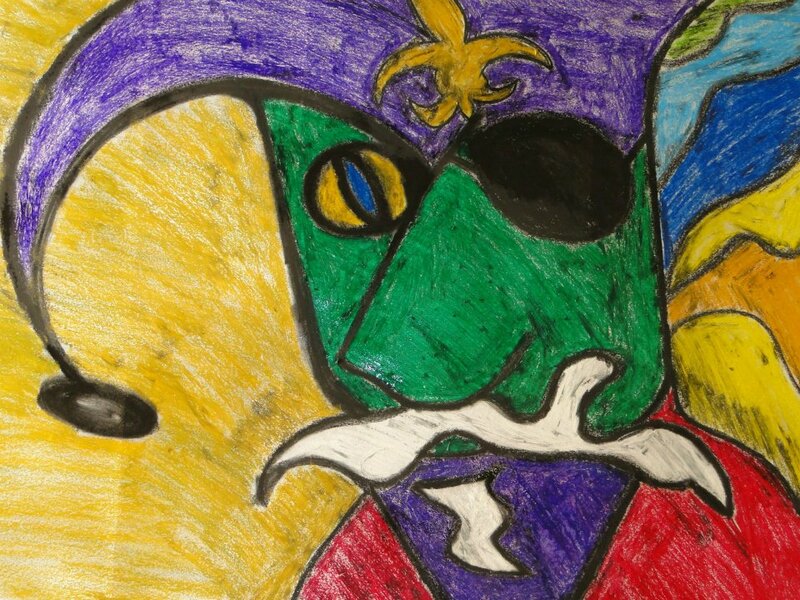 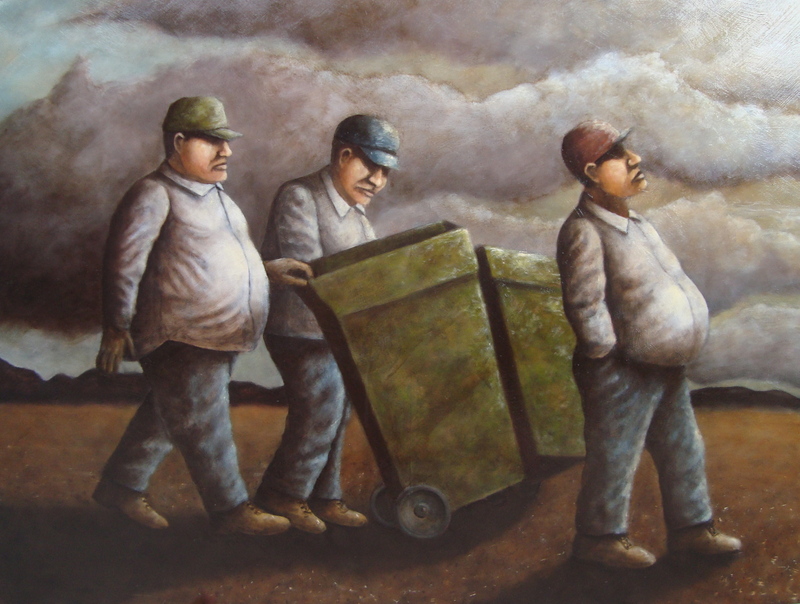 Alex has had solo shows throughout the Portland area, including the Bella Perla Gallery and the Tyson Gallery, as well as numerous public venues. 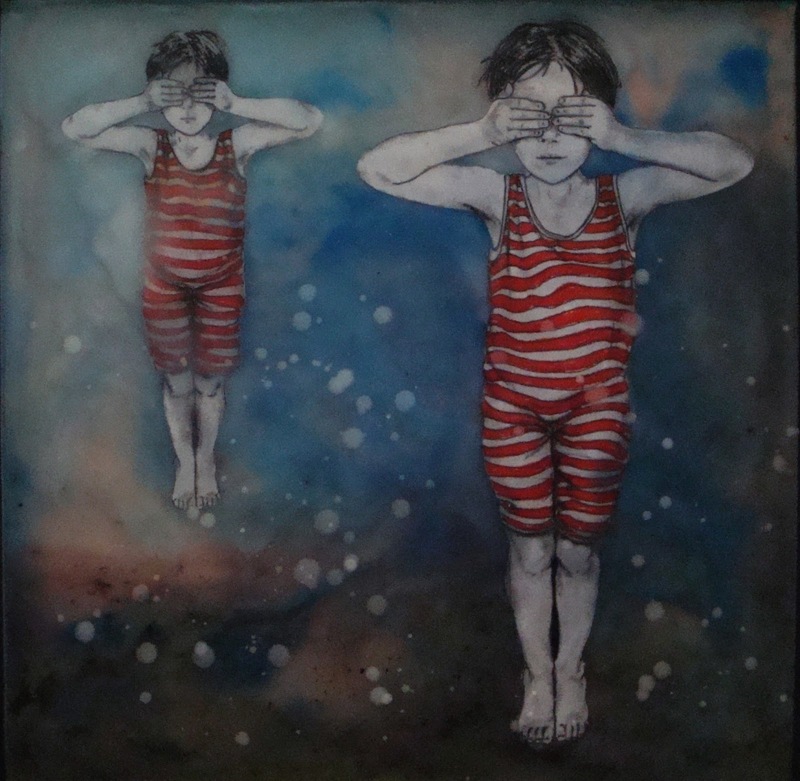 Current works focus on themes of isolation and introspection, and the subtle strangeness of childhood memories and dream states. 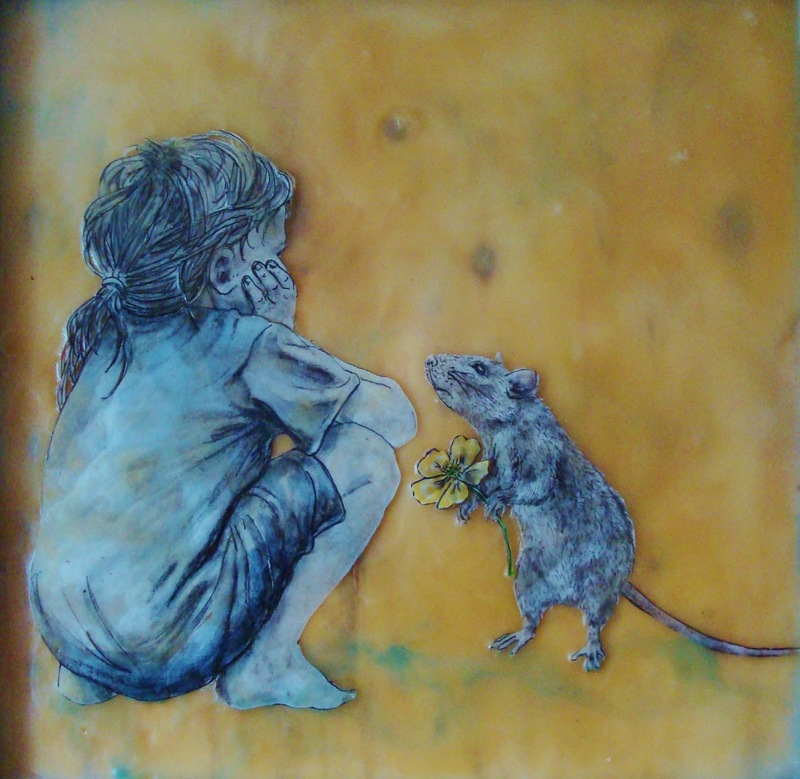 Animals are often featured prominently, serving as symbolic manifestations of the hopes and fears of childhood that sleep within us all. 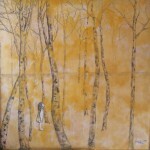 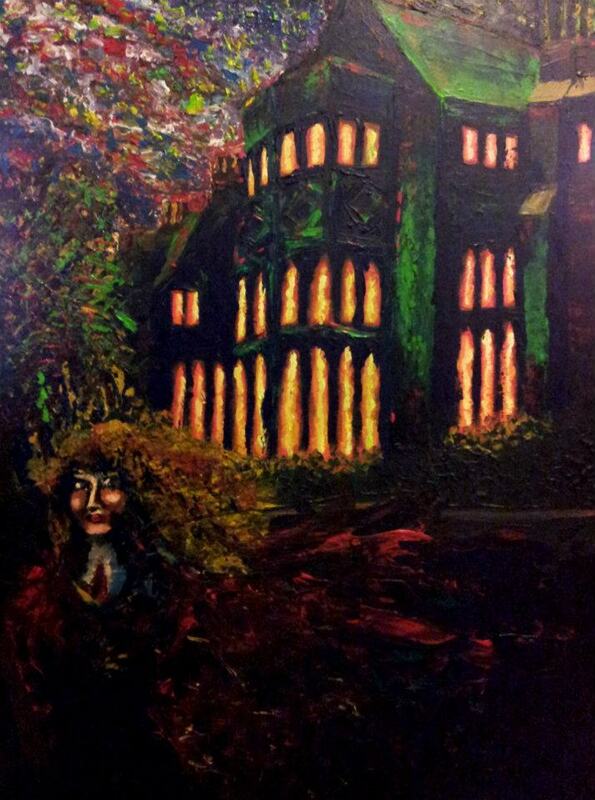 You may find more of Alex’s work on her website here.